Welcome back to the CMI Structural Solutions blog! 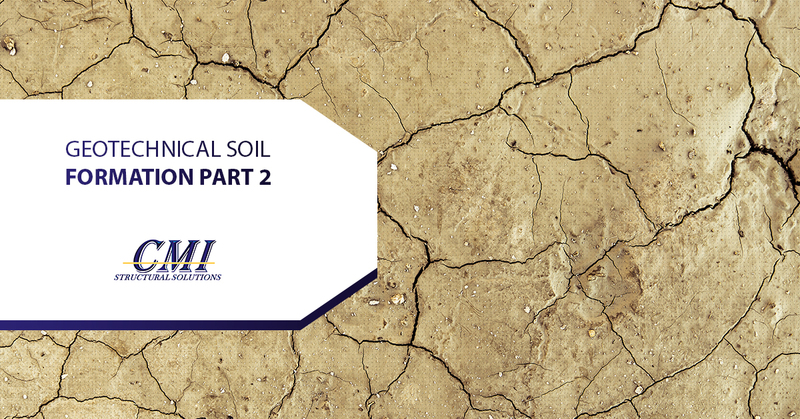 In part one of our soil formation series, we discussed the various portions of the formation process that can ultimately affect the building process on your parcel of land. Understanding how the soil develops is a key portion to understanding what will make it work best for your construction process. Whether it’s residual igneous or naturally inclined to sloping and changing, the success of your building’s structural integrity could rest entirely on the geotechnical design and the soil we’re working with. Equipping your project with a quality geotechnical engineer team is a necessary process of ensuring that your building grows into the monument of accomplishment that you’re hoping it will become. So what makes the soil favorable for building and how does the formation affect its ultimate purpose and behaviors? There are four main variables that will ultimately affect the soil formation and therefore the following properties of the soil. As you might have guessed, the composition of the parent rock is probably the most important factor that comes into play with soil formation. 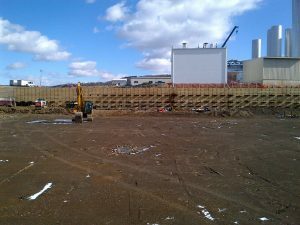 The parent rock’s materials will determine how the chemicals and microorganisms interact with the soil to ultimately determine how porous and dense it will be. For example, if you find that the parent rock was an igneous rock, you’ll be able to observe that the soil will show corresponding properties to the rock; no matter what stresses it’s put under, it will remain essentially the same. The second determining factor will be the pressure of the microorganisms, which will ultimately determine if the soil is good for agricultural use or not. The third distinguishing factor will be the general topography of the region the soil is located in, for example, the heat, the ice, the wind and presence or lack of greenery in an area. You’ll see this in the sense that moist soil will have a higher volume of minerals accumulating and microorganisms present in the soil than you would in a place that’s naturally dry and windy. The fourth and final factor of the formation of your soil is the accumulation period. If you’ve ever heard the saying “old as dirt,” you’re probably at least slightly aware of how truly timeless dirt is. That being said, even dirt yields to the ever-changing hands of the clock and different periods of accumulation result in layers of different kinds of dirt. These layers of dirt allow the microorganisms and chemicals in the dirt to react with each other and create unique properties for the parcel of land. In fact, these seemingly minute changes can change your soil on a molecular level that forces odd mixtures and manipulates in the particles of the soil. When we mentioned that an igneous rock would create different soil, we meant it in a chemical sense — but also in the sense of soil mass itself. In fact, the mode of weathering can greatly affect your soil on a particle level. You’ll see that wind-weathering, in particular, creates round soil particles and frost weathering creates chipped ice shaped soil particles within your soil mass. Even the mode of transportation can render the soil cohesion-less or make particle sizes that are not uniform which creates an uneven texture in the soil as a mass. Even so, you’ll find that most soil particle structures can be broken down into a couple of types. There’s granular soil, which you’ll be able to identify by its small diameter that rings in at about 0.5 cm. This kind of soil is commonly found in regions where there are roots found in rock masses, like mountainous regions. You’ll find that it’s highly permeable and makes for decent soil surrounding areas that need decent drainage. There’s also columnar soil and prismatic particles, that appear in a long and cylindrical structure that they both share. You’ll be able to find prismatic particles in parcels of land that are in lower-surface horizons. The columnar soils are often found in arid and drier regions of land. You’ll be able to distinguish the two rather easily; columnar soils have a distinctive salt cap on the head of each particle that sets them apart from their similarly shaped counterpart. Thirdly, there’s single-grained soil that can be characterized by its individual particle appearance that pointedly refuses to stick together. They’re loosely bound together and have a certain sandy feeling. Last, but hardly least, there’s the platy soil that traditionally lies flat and docile. It’s compacted soil that can be located in horizontal regions. 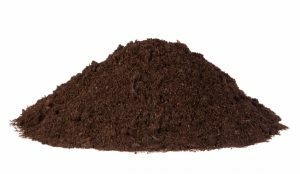 The soil consists of a carefully layered structure that allows it to lie on top of each other like plates. Understanding the soil structure on a particle level allows you to predict what your geotechnical engineer should account for when creating your design. They can calculate how to control the water runoff and the quality of the groundwater as well as the soil slope and stability. They’ll even use information from the structure and composition of the soil to understand the way that the water moves beneath the soil surface and what the water retention of the soil is. You can even use different soil structure to control the trafficability of the soil and use that information to create solid roads and transportation strategies. Predicting and understanding soil structures is only a portion of creating a truly successful geotechnical design that will ensure the success of your building project. Don’t take a risk — invest in the proper expertise with CMI Structural Solutions. We specialize in finding truly innovative solutions to the everyday problems the Webster soil offers the builders and developers. Our team of qualified geotechnical engineers can find the best solutions for your soil and your project based off of a host of factors and their ever-evolving education. Reach out to us so we can create a quote that will suit your needs best.